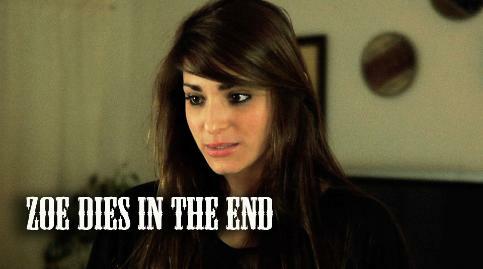 WATCH "zoe dies in the end"
There are a lot of horror themed pages in my site and I would be remiss if I didn't mention Dario Argento. rooted in his psyche from a very young age. instead he chose to work as a writer for the Rome-based newspaper Paese Sera. film “Once Upon a Time in the West” (Ital. C’era una volta il West) released back in 1969.
released in 1970 and it was received with high appraisal from both critics and the general audience. merged with a gruesome thriller plot, which soon after became Argento’s trademark. Argento’s successful directing debut, this film was one of the most expected ones among Italian horror aficionados and film critics. compositor and Dario’s friend Ennio Morricone. disappointed with this film, considering it to have a shallow plot and a clumsy audiovisual development. producer, and original writer Luigi Cozzi as his assistant director. development was “so arbitrary we feel tricked”. The giallo hiatus and Deep Red. and the plot’s motif was the development of the 1948 anti-Austrian revolt in Milan. very popular genre in the Italian film industry, nor a fair exposition of the bloodthirsty aristocratic movement that it portrayed. time. He somewhat was looking for the film to absorb the overall occult and ritualistic ambiance found in that Italian city at the time. many as the best Argento movie ever made. audiovisual extravaganza that would awaken emotions of disgust, anxiety and horror in most spectators. progressive rock band, with the responsibility of providing the film with the very modern soundtrack he wanted. Italian borders, all the way to an international renowned filmmaker. influence of Argento’s Deep Red film was crucial to the making of his famous horror movie “Halloween”. plotlines, as Argento flirted further and further with supernatural narratives. Harper, Italian stars Stefania Casini and Flavio Bucci, as well as Spanish LGBT singer, actor and performer Miguel Bosé. the German city with the aspiration of becoming a ballet star, but then finding out about the academy’s somber and dark foundations. viewers with a maximum quality sensorial experience. inspiration, considering New York City to be the perfect scenario in which the “Suspiria” sequel had to be brought to life. experimented a great deal with camera angles, camera movement and screen composition. occult and the number three. the Holy Trinity, the Three Graces and the Three Fates– there is also an obscure trinity hidden in the tangles of today’s world. managed to impeccably pull that off. (corresponding to the belated 2007 release of The Mother of Tears film). format until 1985, and spectators had to wait until 1986 in order to see it in theaters. angles gratuitously and with no relevance to the story”. effects” stating also that Inferno alone “justifies [Argento’s] cult reputation”. The trilogy gap and the return to giallo. both European and American public opinions. various countries, allowing the film to be showcased only at audiences older than 18 years of age. he needed to write a film featuring violence just for the sake of violence. film that Argento has ever made”. cinema connoisseurs, making “Opera” one of the most important and commercially successful movies by Argento. general audience now agree that Argento’s golden age ended after the “Opera” film was finished and showcased. nothing particularly relevant nor attractive to it, “The Stendhal Syndrome” was Argento’s biggest box-office hit. almost everyone familiar with Argento’s work. however, consider this film to be cliché, dull and lacking of any particular traits to appraise. prime time American TV show, instead of being equivalent to the director’s early high-quality films. the way to May 2012, when the “Dracula 3D” film was released. several box-office successes in his history that would have been sufficient proof of how needless this mainstream conversion was. was kept intact despite technology additions, maintaining the audiovisual continuity that most fans and critics were yearning for. revolting, flamboyant, titillating, ridiculous, mischievous (…) cheap, priceless, tasteless and sublime”. he grew further apart from his roots and ended up working for the mainstream filmmaking industry, disappointing many in the way. Suspiria has since been remade with Chloe Grace Moretz and Dakota Johnson starring.